This seminar will introduce key themes featured in Assoc. Prof. Bennett’s book Modern Records, Maverick Methods (Bloomsbury Academic). 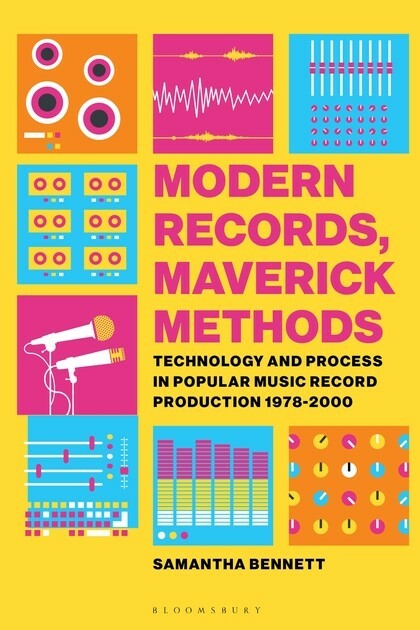 From the Fairlight CMI through MIDI to the digital audio workstations at the turn of the millennium, Modern Records, Maverick Methods examines a critical period in commercial popular music record production: the transformative digital age from the late 1970s until 2000. Drawing on a discography of more than 300 recordings across pop, rock, hip hop, dance and alternative musics from artists such as the Beastie Boys, Madonna, U2 and Fatboy Slim, and extensive and exclusive ethnographic work with many world-renowned recordists, Modern Records presents a fresh and insightful new perspective on one of the most significant eras in commercial music record production. Samantha Bennett is Associate Professor in Music at the Australian National University. She is widely published in the areas of popular music sound recording, technology and production. Limited number of seats available in this Research Seminar, for the public (seats will be automatically reserved for School of Music students who attend research seminars for coursework).